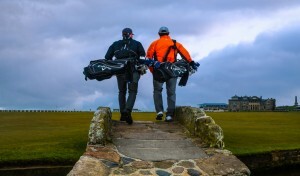 West Sands beach, an easy nine iron from the Old Course, is a two mile stretch of uninterrupted sand, sandwiched between beautiful dunes and the chilly North Sea. During the summer months in particular, it’s a hive of activity made up of dogs chasing balls, make-shift beach volleyball courts and once upon a time a Hollywood film in the case of Chariots of Fire shot in 1980. Other sights include people paddling, maybe the odd brave swimmer and quite often, Trevor Paterson. 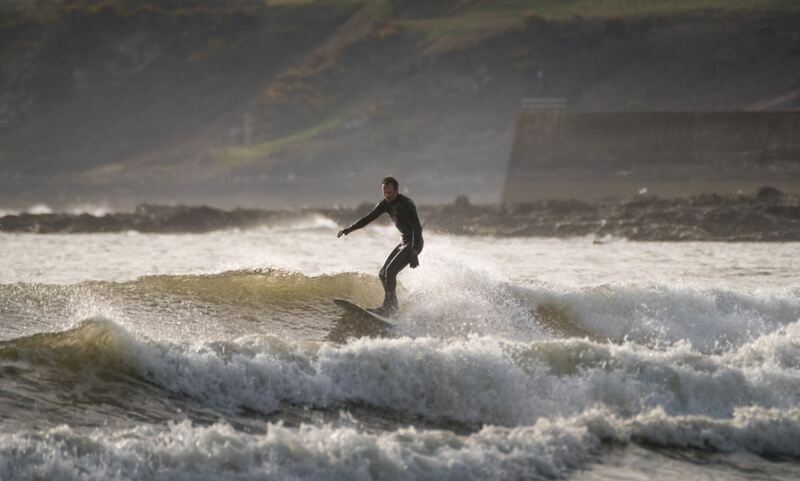 From the Scottish Highlands originally, Trevor is a keen surfer as of only fairly recently. His cousins put a board in his hand while on a two-year working holiday in Australia. Fast forward from those days enjoying his new found passion in the crystal blue waters of Byron Bay, to now, where Trevor continues to enjoy surfing in the cooler climes of the North Sea at West Sands beach. 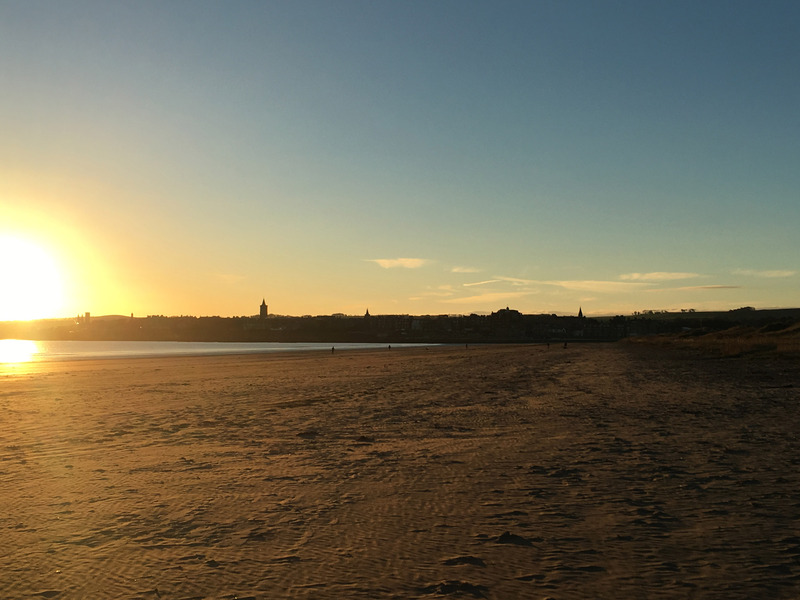 Part of the attraction of this location for Trevor is its beauty, with the “long, endless beach to the north, strong cliff-edges to the south and St Andrews right in the middle”. 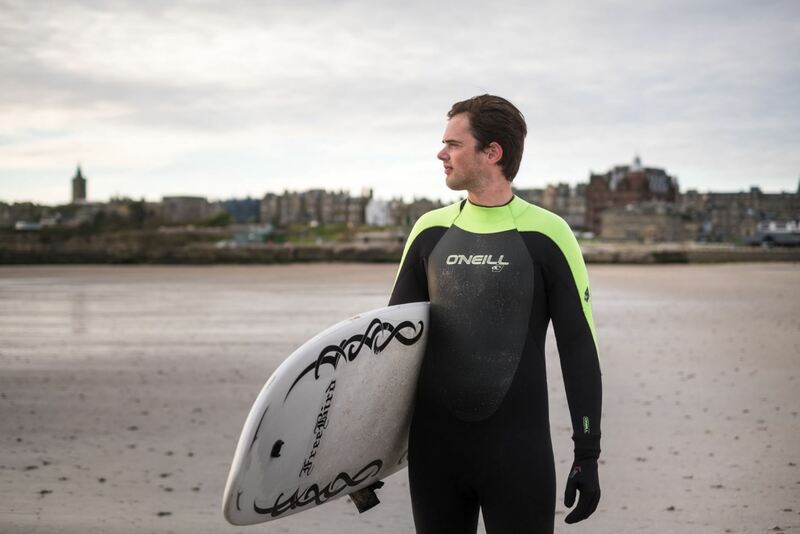 He also enjoys the buzz of the place and will often have people ask him questions about surfing in Scotland with their parting words usually: ‘are you crazy?’. 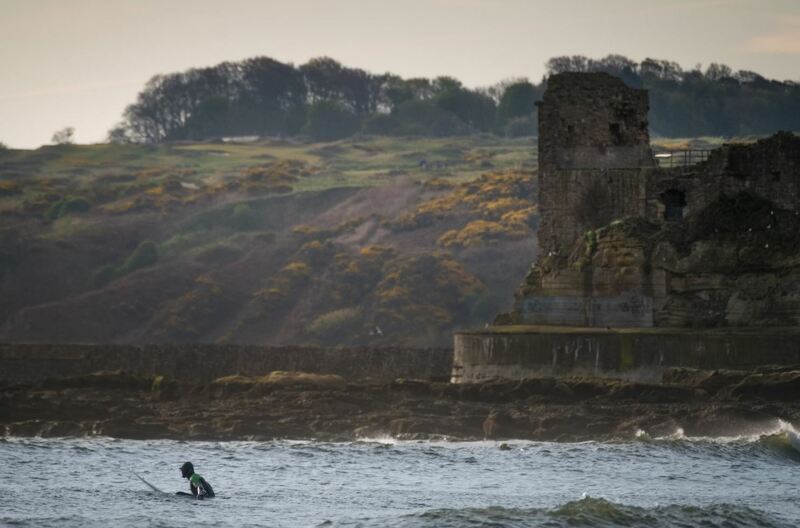 Knowing the surf conditions in advance is important and living near Dundee, he needs ‘eyes’ on the waves to make sure his trip is worthwhile. With no contacts close enough to the area and surf prediction apps no match for an ‘on-site look’, Trevor ‘surfed’ the web for local webcams and quickly found ours. 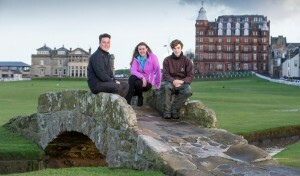 With eleven different views of the Links including the first tee of the Old Course and the iconic Swilcan Bridge, Trevor was pleasantly surprised to see ‘West Sands’ as an option on our webcam. “It was pointing at a great angle and also provided a visual reference to the size of waves and its breaking point. 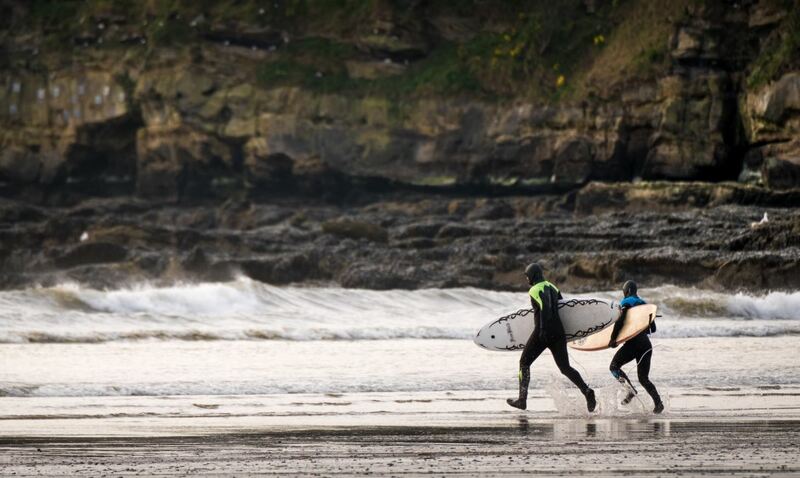 It’s a high quality feed and very simple to use making it a great experience.” Trevor now uses it before every surf at West Sands. 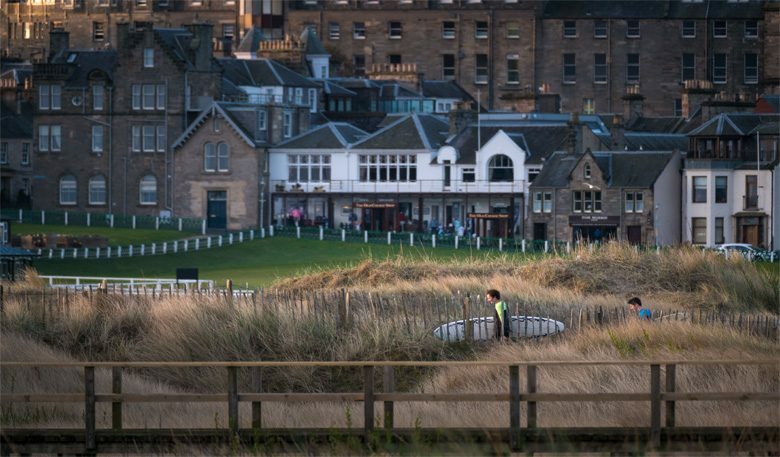 No matter the weather, with our webcam you can check out current conditions, see a loved one tee off or just watch the world go by at the Home of Golf. Select the ‘West Sands’ option and you may even spot Trevor waving hello!